Not only do we plan our curriculum carefully so that children gradually learn a range of skills but we also encourage them to access a range of different sporting activities both within school and outside. 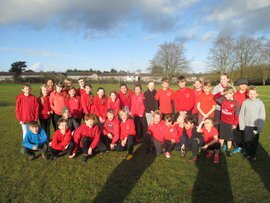 Throughout the year we take part in a wide variety of intra and inter school sports competitions and festivals. For intra sports every child is put into a colour team and takes part in competitions linked to the PE curriculum. Sports teams take part in inter school sports competitions and festivals throughout the year. Children also have the opportunity to participate in different sports on and off site such as contemporary dance, archery, outdoor adventure, rugby and yoga. Huish Episcopi Primary School achieved Gold award last year. The netball team showed some great play, they really got stuck in and played some excellent netball. Well done to the team who took part in the large schools event.